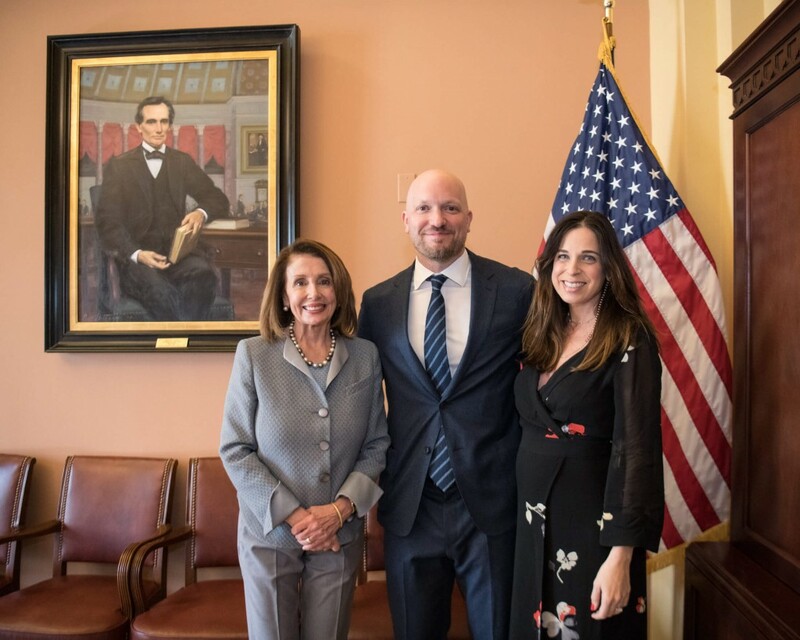 Washington, DC (March 26, 2019) – Today, at the United States Capitol, Iraq and Afghanistan Veterans of America (IAVA) Founder and former CEO, Paul Rieckhoff was honored with a special reception by Speaker of the House Nancy Pelosi. Rieckhoff recently stepped down as CEO after fourteen years at the helm. Since Rieckhoff founded IAVA in 2004, IAVA fought and won many historic victories on behalf of all of America’s veterans. Under Rieckhoff’s leadership, IAVA drove momentous and expansive legislative and policy change to include the passage of the Post-9/11 GI Bill and the Clay Hunt SAV Act and the repeal of “Don’t Ask Don’t Tell”. His legacy has impacted the lives of millions and continues proudly today as IAVA fights for its Big 6 policy priorities which include support for women veterans and ending veteran suicide, under the leadership of new CEO, Jeremy Butler.